Olympus is an app developed for Oculus Rift that allows the user to draw a route for a real-world robot to follow. Many current smart-home devices, such as automated vacuum cleaners, perform poorly without human intervention. Our team decided we would come up with a solution to this problem. Olympus is an application for Oculus Rift that allows the user to control a real-world robot powered by Raspberry Pi. 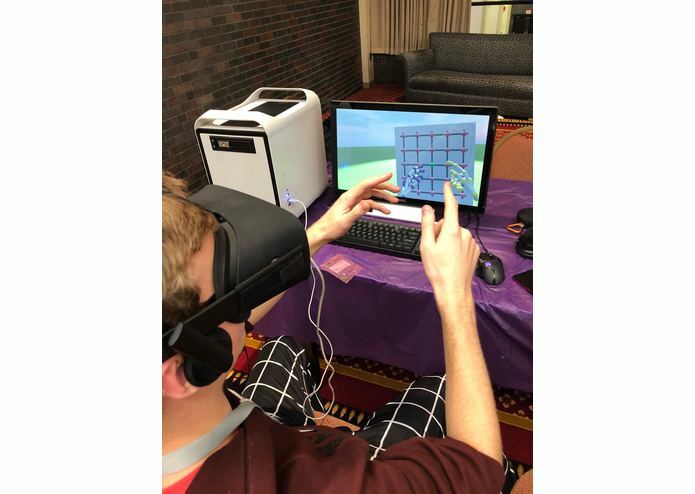 The user puts on the VR headset and is met with a coordinate grid. By touching points on the coordinate grid, the user can plan a route for their robot. Upon an activation gesture, the real-world robot will trace the route drawn by the user in real-life. We developed an Oculus Rift "game" through Unity; however, this game was actually just an interface for the Oculus to send signals to a real-world robot. After the user draws a route on a coordinate grid in the VR space, Unity sends information about the route to Google Firebase. 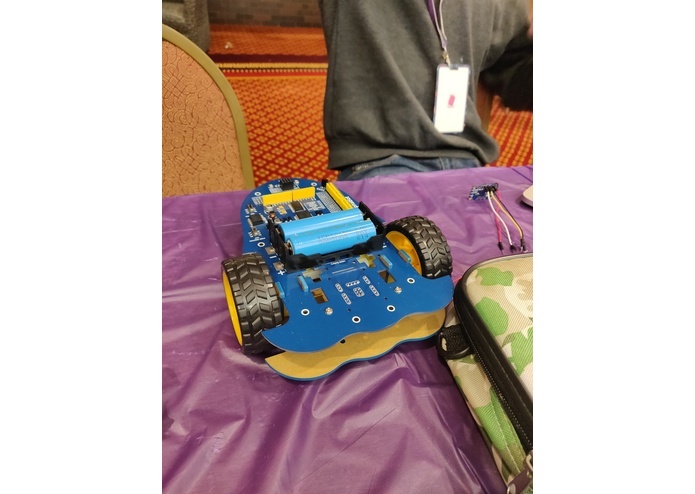 The robot is powered by a Raspberry Pi and waits for the information from the Firebase database. A Python script captures changes to this database and sends information to the robot via Wifi. The Alphabot Development Kit (the physical robot parts) needed heavy soldering and we had to find our own soldering iron to do so. When trying to communicate with the Raspberry Pi via wifi, one of our teammates discovered a kernel bug in the Raspberry Pi OS that caused it to drop connection. We had to flash a Ubuntu operating system to work around this. It was also difficult to get the Oculus Rift drivers and software functioning. We are proud of getting all of our hardware functioning despite major difficulties. We are also proud of how well we worked as a team and were able to divide up the work according to our strengths. Two of our teammates worked on developing and scripting the Oculus Rift environment and the other two set up and scripted the Raspberry Pi. This application is intended to be a proof of concept. A real product could use data from a house to assist in drawing a path matching the room the robot is located in. Also, we envision the ability to design and save preset paths for the robot to follow on a schedule. I designed the virtual reality environment in Unity and programmed the scripts that change objects in the environment based on user interaction. I helped work on the Unity code with the Leap Motion, created the database in Firebase and the code that communicated cross-platform.